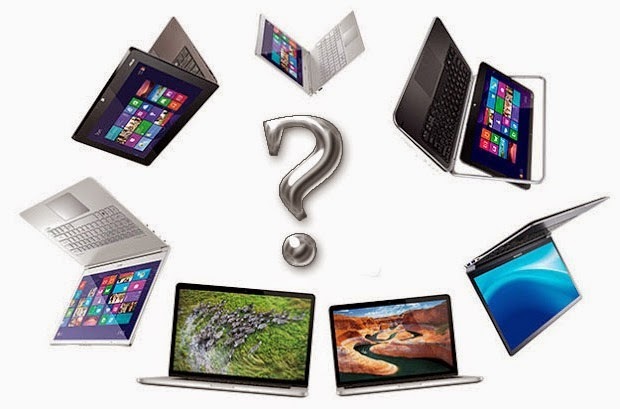 Are you about to buy a new laptop, but you don't know what laptop to purchase? Choosing a laptop can be a very overwhelming experience. This article will also tell what some of the technical information means, so when choosing computer options you know what the manufacturer is talking about. Decide how much money you're willing to pay for your laptop, what kind of hardware you would like, etc. Use this list below, this list show what each part does and what you need, in terms of specification. The processor is what thinks for your computer. It is measured in gigahertz. If you are going to use your laptop for heavy video and picture editing, or other heavy tasks get a high gigahertz processor, if you are just using your computer for basic home tasks save the money and get a lower gigahertz processor. Most processors these days are "multiple core." This means they can handle more processing tasks at the same time. Ram is your virtual memory. RAM is measured in gigabytes. It provides the power to run programs at high speeds. The more RAM, the faster the computer. If you plan to use your computer for heavy video and picture editing or gaming, get a lot, around 6-8 gigabytes. If you plan to use your computer for simple home tasks, such a word processing or just watching DVDs, get the standard amount of ram, around 2-4 gigabytes.If you are a gamer, you should probably make sure your laptop has 3-4gb of RAM. The hard drive, or HDD, is where your computer stores everything that you make or do when you save it. Hard Drive space is also measured in gigabytes. For normal tasks, such as word processing, a 200-260 gigabyte HDD should be fine, but for high gaming and video editing you should probably look at a 400-500 gigabyte HDD. But now-a-days a 1TB HDD is better if you're going to be downloading a lot of things. Make sure you have a hard drive size that fits your needs. For now 1GB Graphics Card is enough, only go for 2GB if you plan on gaming across multiple monitors, or you intend to keep your card for a very long time, in which case 2GB might be a little more "futureproof", though by the time games routinely start using more than 1GB at 1080p, most current cards would probably be obsolete.Hence a 2gb Graphics card is must for gamers. Also watch this video, it is about old laptops but helpful.